So, I'm back with a big one. It's my Birchbox review! And when I say Birchbox review, I mean I've got three separate boxes to talk about so I better make this quick (I would recommend setting yourself up with a cuppa, we're going to be here a while). 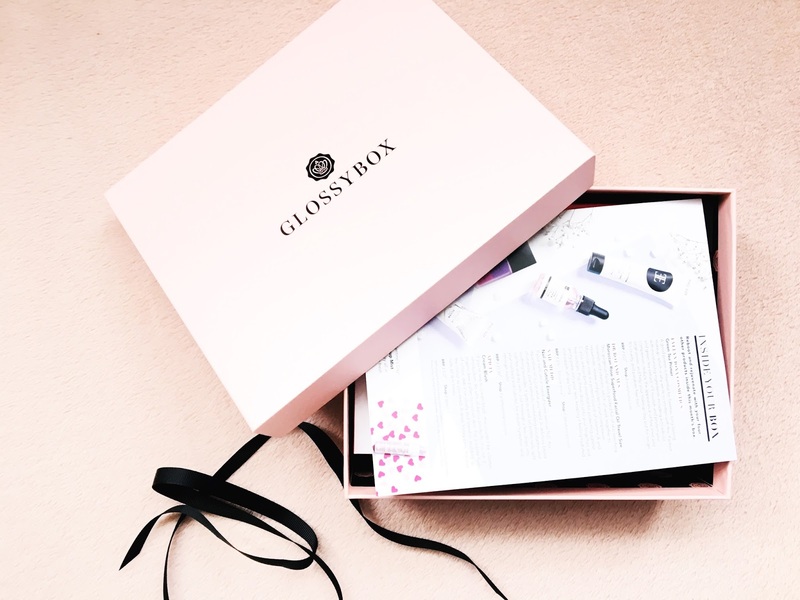 I've been reviewing some of the most popular beauty box subscription services available right now, starting with Glossybox (read my full review here) last time and now Birchbox! I loved the value for money of Glossybox, you get a good amount of full-sized products and a great selection of skincare but I thought it was only fair that I gave Birchbox a whirl. If you haven't heard of Birchbox, first of all: you okay, hun? More importantly, you need to get acquainted. So, let's talk about Birchbox! Birchbox is a beauty box subscription service as well as online shop that stocks all the brands you could ask for. You just have to choose a monthly, six monthly or yearly plan (from £12.95 a month including p&p which you only have to pay for the first six months), complete your 'beauty profile' and you'll start receiving these gorgeous tailored beauty boxes right to your front door. Each box has it's own unique style and feel and contains five products (one full-size) chosen especially for you. 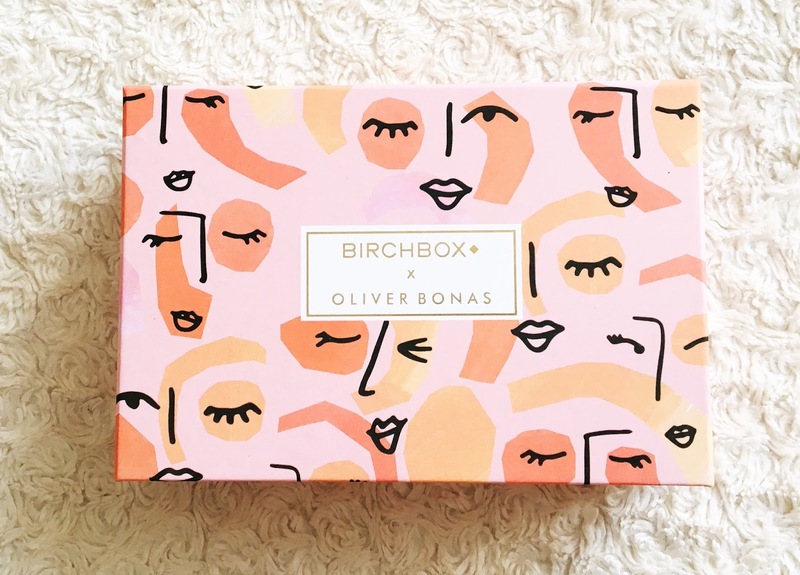 Well when I signed up there was offer to get an extra box and I've also got February's so I figured I'd show you what I received in all three boxes so you get a real idea of what you get when you subscribe to Birchbox - here we go, starting with the mystery box: September 2017: Birchbox X Oliver Bonas! Okay, so it's more than a little late but you'll never guess what I've got for you... that's right, it's my January favourites! Favourites are my favourite posts (haha), they're always the most fun to write and I LOVE getting recommendations from other bloggers. This month I've been in serious hibernation mode, it's getting even colder in Brighton so I've taken the opportunity to curl up with a book whenever possible. I've discovered lots of lovely new things throughout January so without further ado, here's what I've been loving this month. This month I decided it was time to give beauty subscription boxes another go. I've been tempted into subscribing to a couple of different ones in the past. Birchbox and Glossybox being the most popular, with promises of free gifts, mystery boxes and simply amazing products but every time I've ended up having to cancel my subscription for one reason or another. It's been a couple of years since I've received a beauty box regularly and I hadn't really heard too much about them so I thought I'd give a couple of the most popular ones a go. First off I'm reviewing January's Glossybox! For £13.25 a month (£10 subscription with £3.25 postage and packaging on top of that), you get a really elegant, luxe feeling beauty box filled with five specially chosen beauty products. There's a mixture of full-size and miniature products with a crazy combined retail price so you know you're getting your money's worth with Glossybox - plus I've found the products to be very usable as opposed to some of the more 'out there' products you might get in other boxes. Anyway, let's get into it! I've been a little busy this weekend... In case you missed it, I graduated! I've been studying for an MA in Modern and Contemporary Literature, Culture and Thought at the University of Sussex for the past year - I'm not going to pretend it's been the easiest thing I've ever done and there were more than a few times I thought I was going to have to drop out, believe me. But I did it, and this weekend - I graduated as a Master of the Arts! Honestly I've spent the last few months stressing about every little detail of my graduation day (I figured as I didn't think I'd have a second graduation, I'm definitely not going to have a third!) What was I going to wear? What lipstick? Which heels? It's been a year's worth of hard work, deadlines (35,000 words, to be exact) and more than a few meltdowns but I finally walked across that stage and got my Masters degree! I thought it would be nice to share some of that day with you so that's what I'm going to do. Welcome back! So, I'm going to be talking about my everyday make up routine, using some of my all-time favourite products. These are the things I use LITERALLY everyday (no matter what I' m doing) as well as the items you'll catch me repurchasing again and again. Like everyone, I like to try new things but ultimately I keep coming back to what works. Everything I use tends to be from the drugstore (that word again) or fairly inexpensive so hopefully they'll be something for everyone and it definitely won't break the bank (unless you buy one of everything like I do, in which case yes it may become rather expensive). Anyway, here are my top five essential beauty products! So, I've made a mistake. But luckily, I've made it so you don't have to! I've tried a few different foundations in my time, most of them drugstore (does anyone else think this is the only way to describe places like Boots and Superdrug even though it's an American phrase?) Well, I've found one I love. You know that holy grail product? The one you couldn't live without out. That's what this is to me. It's the Rimmel Lasting Finish 25 Hour Foundation with Comfort Serum. Let's take a moment to unpack that: we know it's a Rimmel foundation, that much is obvious. It's actually a long lasting foundation (25 hours, see what they did there?) that supposedly contains something called 'comfort serum'. According to Rimmel, that means it's basically extra comfortable. It blends flawlessly and lasts against sweat, heat, humidity AND transfer for up to 25 hours!!! That's a pretty big claim - read on to find out where I stand on that - but this brings me to another big question. Which foundation from the Lasting Finish range is right for me? It was easy when there was only one to choose from but now that Rimmel have released the new Lasting Finish Breathable Foundation it's a little more difficult to know which one is right for you and your skin. Post number two - here we go! If you're anything like me you've gotten to January 1st and thought 'OH MY GOD I HAVE TO SORT OUT MY SKINCARE!!!' Literally, whenever I think of New Year's resolutions I immediately go to skincare. Why aren't I drinking more water? Why do I never take my make up off? There you go, I said it. I really, really struggle to take my make up off before bed, despite knowing that it's absolutely terrible for my skin - I'm lazy and so I don't do it (bad, bad beauty blogger). With that said, it's a brand new year, maybe that means a brand new me? Here's what I'm doing to try and get on top of my skincare routine this year (and I'm doing it on a budget). So, it's 2018 and I thought we'd start the year off with some of the things that I've been loving at the moment. These are just some of the lovely things that I'll be taking into the new year (including a couple of Christmas presents I was lucky enough to receive!) Before we get into it, I just wanted to say a quick hello! As you can probably tell, I've just started a new blog - I'm so excited to be blogging again. 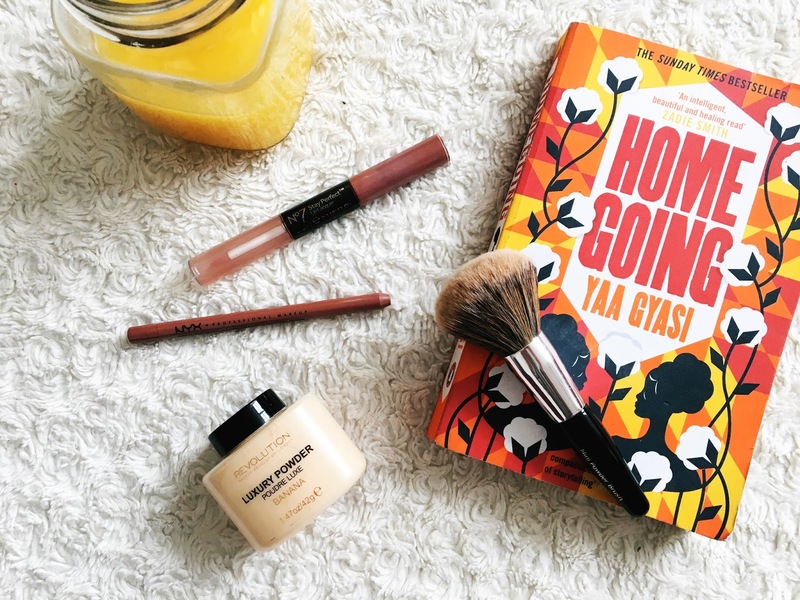 I used to have a beauty blog a couple of years ago but it's all pretty new to me still, so you might have to bear with me while I find my feet! Anyway, what can I tell you about myself? I feel like we should get to know each other. I'm Jade, I'm twenty-three and I live in Brighton (well, Hove, technically). I've just completed a masters in Modern and Contemporary Literature and I'm obsessed with anything even vaguely related to beauty, homeware or fashion. That's probably everything you need to know for now, shall we get started?